2K has ‘no update’ on BioShock Vita……So? Ever since the tragic news that the genius game developers of Irrational Games were laid off, one piece of supposed vaporware has been on….some people’s minds: The BioShock game for the PlayStation Vita. When vague details of the game were released at E3 Ken Levine swore up and down that it wasn’t going to be a port of the first Bioshock game. And now it’s stated that 2k has “no update” on BioShock Vita. Why 2K? Because, they own the IP of BioShock and not Irrational Games. My personal opinion can be summed up in two words: Who Cares? Excuse, my rational skepticism but I can’t be bothered to care about a Vita version of BioShock whether it would be a port of BioShock 1 or BioShock Infinite. Oh, wait it isn’t but it was possibly going to be a decent entry in the BioShock series and then get a HD port to the consoles and PC. I’m not knocking Irrational Games or 2K for their work and the work they wanted to do but it’s the PlayStation Vita we are talking about here, it’s only small appeal are Japanese people and Americans who watch too much anime and pretend to be Japanese. The news that Irrational Games is making a mini BioShock just frustrates me and further illustrates my personal issue with the Vita and Sony’s portable as a whole. Why do developers and Sony keep insisting on making a home console gaming experience on the go and I with a lot of people (At least here in the US) don’t want that. 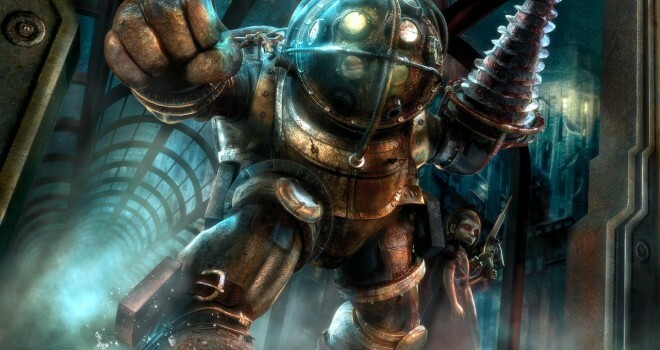 Believe it or not a lot of people, if they want to play BioShock, they’ll play it on their consoles/PC. Maybe I would care if the game they were working on was trying to rely on brand recognition and shoehorn little to no touch controls to justify it be on the Vita. Why can’t developers and Sony just make original pick up and go material for the PlayStation Vita and not terrible ports of PS3 games and games trying to be the PS3 version and maybe I’ll stop trashing the Vita if that day should come. I agree that Sony needs to rethink their strategy with the Vita, I must disagree that the ports are terrible, and question the fact that you wrote and posted the article despite you not caring.